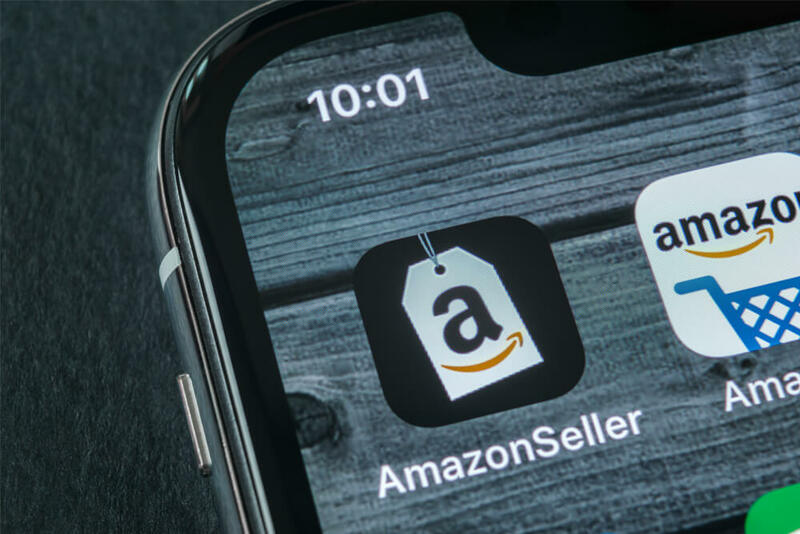 Selling on Amazon as well as your existing website can be a great way to boost your sales, but you need to have the right strategy. Are you wondering whether to sell on Amazon as well as your own website? It’s a smart business move – not only can moving to Amazon boost your existing sales, but your website could also boost your performance on Amazon. Here’s how to do it successfully! For some people who are selling on their own site, selling on Amazon can seem like a lot of work, for relatively little gain. You’ll have to factor Amazon’s seller’s fees into your pricing and you might risk diverting traffic away from your own website. But, if you take a step back and look at it more closely, you will find a fantastic opportunity. Amazon is adding more than a million new sellers to its marketplace every year. Do these sellers know something you don’t? There’s good reason new sellers pop up every day! Simply put: Amazon’s gives sellers access to millions of potential buyers! Each website has a certain pool of potential customers. Your potential customer pool will depend on the profile of your business. Whether you are a small brand, just getting started, or a brand in the midst of developing an international following, odds are you will never be able to replicate Amazon’s traffic numbers. It should not just be the thought of increasing your pool of potential buyers that should entice you, think about what it can do for your brand recognition! The more buyers that see your product, the more sales you stand to make. The more sales you make, the more people will recognize your brand. And here’s the thing, people trust Amazon. When they are researching a product, they are likely to head to Amazon to begin their search. They will view product listings and product reviews to get the real skinny on what’s available. Buyers log on to Amazon prepared to buy. If they come across your product, they are already more likely to make a purchase. Once a buyer knows who you are, and has a positive buying experience, they are more likely to buy from you in the future: either directly or through Amazon. If you are currently only listing your products on Amazon, it might be time to consider setting up your own website. When you list on Amazon, you are able to give a brief description of who you are and what you do, but that description can be limiting. Sometimes it is just not enough to properly express the goals of your company or the products you sell. Your own website can function as your own storefront. It’s a chance to build your branding and give more detail about what you do. It adds context and helps build your reputation and trust with the customer. They are instinctively more likely to buy from you if they feel you are an established organization with your own infrastructure rather than just someone selling goods through Amazon. The more comprehensive the website is, the more likely a customer is to make repeated visits. Give them a real reason to come through by building out the content and offering more in-depth, exclusive, information about your brand and your product. Regular blogging is a good way to draw people in. It’s a chance to discuss issues which might be important to a buyer and offer a glimpse at the real-world use of your products. Having content which is regularly changing and updating will also help your website from an SEO perspective and will help build trust in your brand. As well as using your website, you can also link to your sales channels through social media. This is a powerful tool for driving engagement across all these channels and adding a layer of personality to your main offering. People will be more likely to trust a company if they can get an idea of the personality of the people running it. This is why Richard Branson spends so much time on his own personal profile and on social media adding depth to the Virgin brand. This is about turning a business from a thing into a person – giving it an identity and personality of its own that people can grow with. When listing on Amazon, there are things you can do to boost your performance. First, you need to optimize your descriptions for SEO. You’ll get a limit of 200 characters for product titles and you should use as many of these as you can. Make your title descriptive as possible but still readable. You want to make sure that a potential buyer knows exactly what they are looking at before they even click on your listing. Make your description compelling and attractive while including as many popular key-phrases as possible. There are tools available to help you identify these key-phrases, or you can try thinking about the kind of words you would use in a search engine if you were looking for a product like yours. Embrace the use of photos throughout your descriptions. Customers will be more likely to select a product if they can see images of it – especially those which show it being used in real life. It pays to spend a little extra money making images look as professional as possible. Remember, online shopping is done with the eyes. Last but not least, customer service is key. This principle can be applied across all of your sales channels. Spend time engaging with your customers, thanking them for their business and helping them out if they have a problem. This will encourage them to leave a positive review and may even ensure they are far kinder to you they have a problem with your product. These engagements will take time and if your sales are healthy, it will be difficult to stay on top of each sale as it comes it. More sales mean more potential reviews which is why a review management platform, like FeedbackWhiz, is crucial. This tool can not only help you to stay in touch with customers and address any problems they have but it takes all the data that your website and Amazon store produces and places it in one accessible dashboard. This information can be used to streamline your business, improve your product, and ensure customer happiness and satisfaction. When selling on your own website and on Amazon, you need to stay engaged with the sales process. This step can mean the difference between e-commerce success and e-commerce struggle.